A cute hen party badge based on the popular confectionery "Love heart" sweets. This metal badge is printed for you in mind with your personal details. So go ahead and order today. 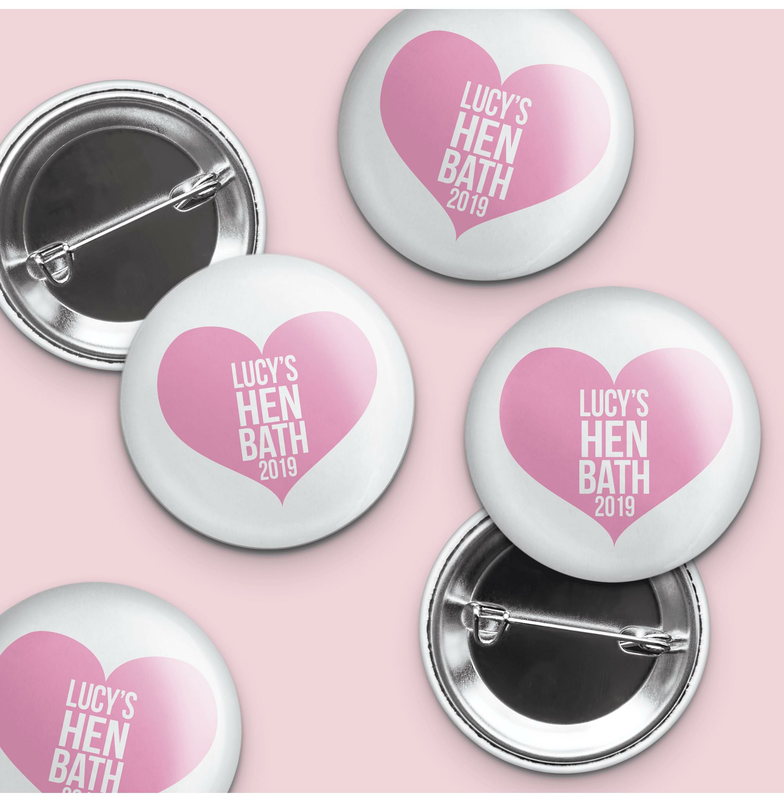 Submit your chosen personalised details on order and you will receive your very own personalised hen party badges through your door!